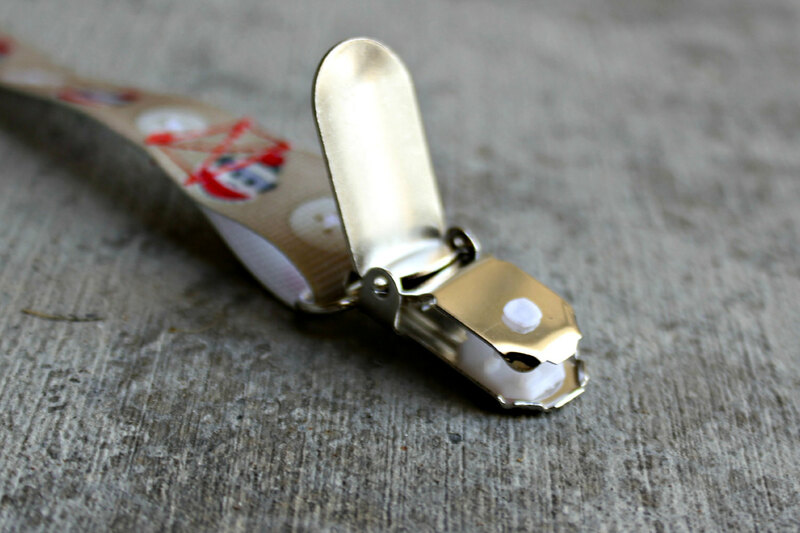 One universal pacifier clip made with Sock Monkey print ribbon on a suspender style clip with red skinny elastic that loops through the ventilation holes or handle on mot pacifier types including hospital-issued Soothie pacifiers and MAM pacifiers. 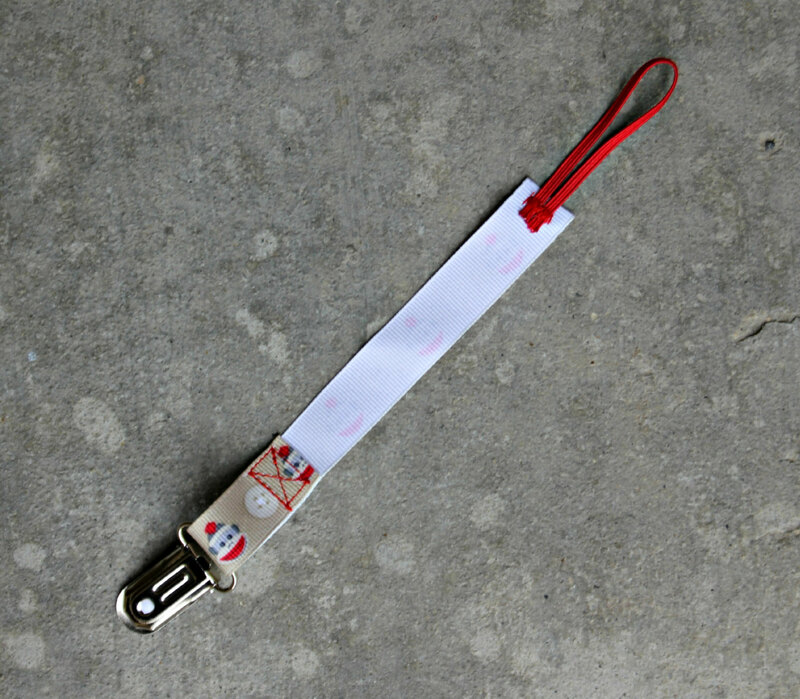 The soft grosgrain ribbon is about 5 1/2 inches (14cm) long and 5/8″ wide. 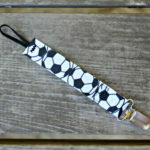 The skinny elastic is about another 1 1/2 inches so it is about 7 inches long in total. 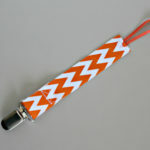 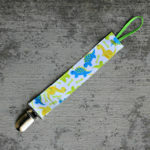 It is long enough to clip comfortably to baby’s clothes, but not so long to wrap around baby’s neck or get tangled up.